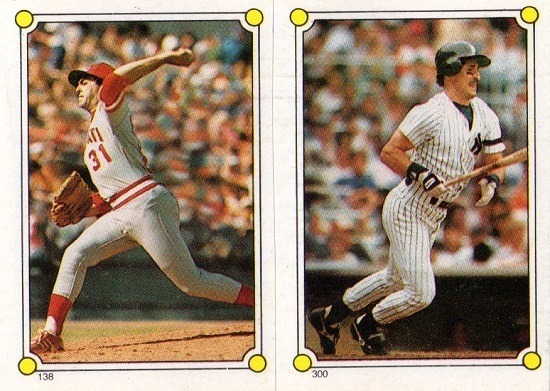 A couple of “1st Home Run” inserts from 2015 Topps featuring Josh Hamilton and Tony Perez. I don’t recall seeing any of these last year, and if I did, I certainly didn’t notice that some were silver and some were gold. Some parallel goodies. 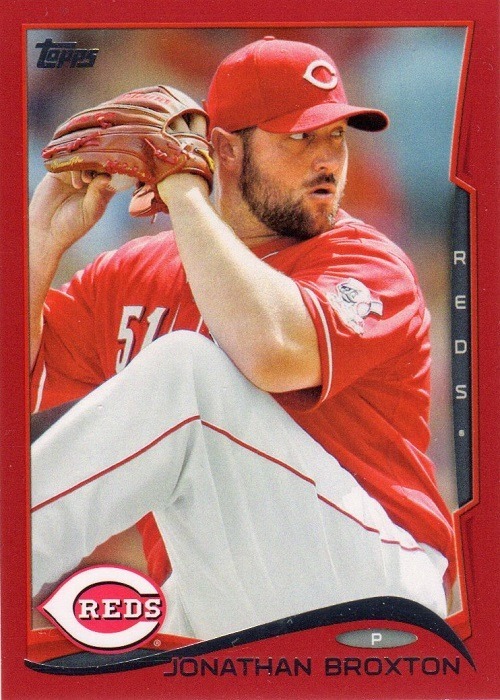 Red-bordered Jonathan Broxton from 2014, and man, Reds players sure look good on red-bordered cards. 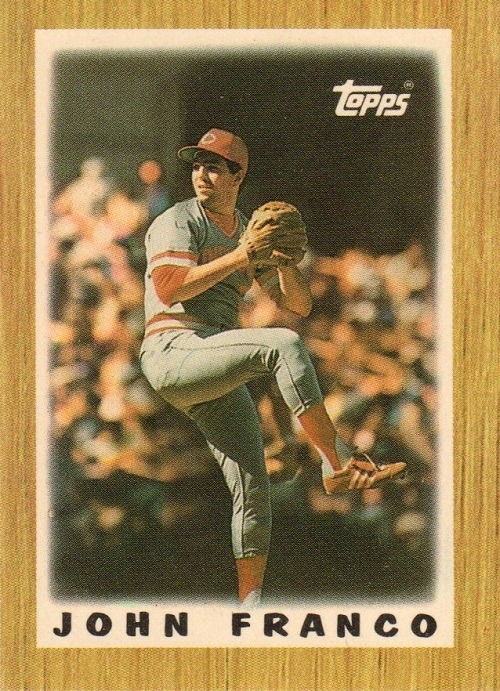 The emerald green borders look sharp too, but I bet Donald Lutz would look better in an A’s uniform on that card. 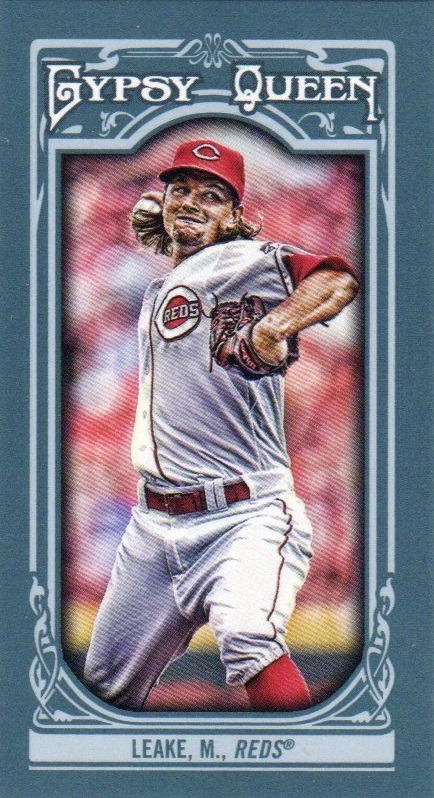 The Mike Leake is a mini, alternate-colored bordered Gypsy Queen. 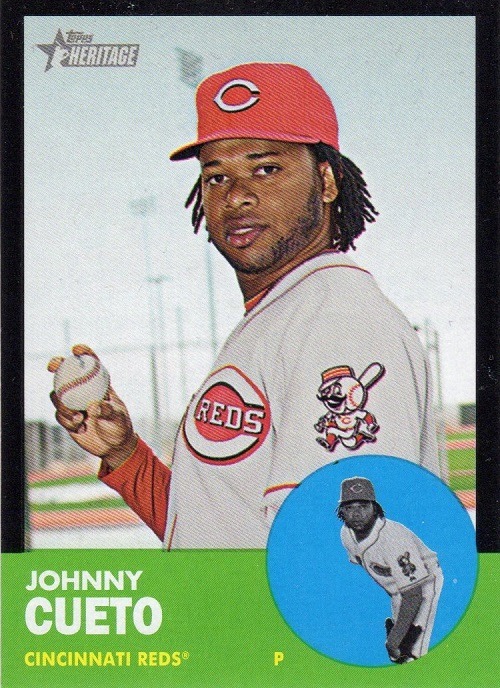 And a black-bordered Johnny Cueto Heritage. Are there any sets that don’t have some sort of parallel anymore? Autographed goodness! 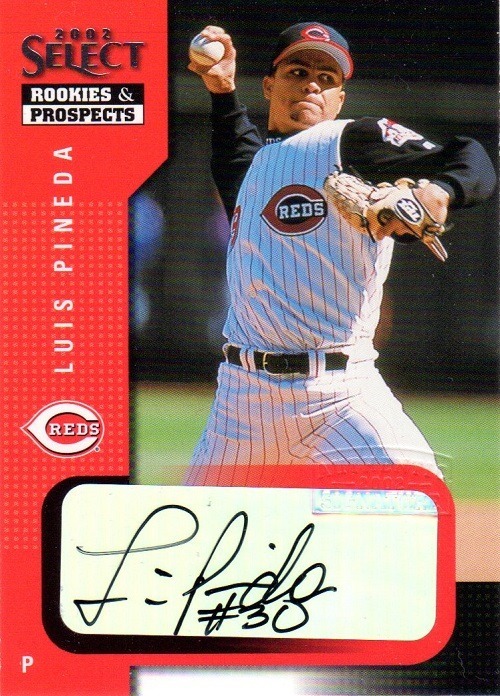 Luis Pineda only played two seasons in the bigs, and only one for the Reds. But I got his scribbles now! 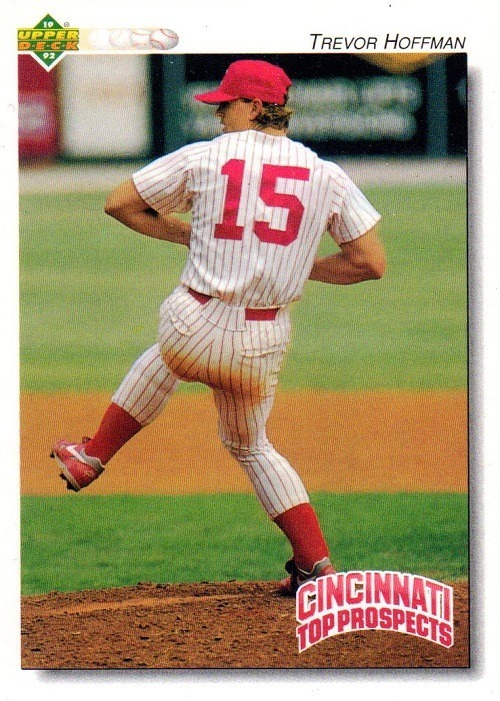 Future Hall of Famer Trevor Hoffman never played for the Cincinnati Reds, but he spent some time in the organization before going to Miami Florida in the 1992 expansion draft. 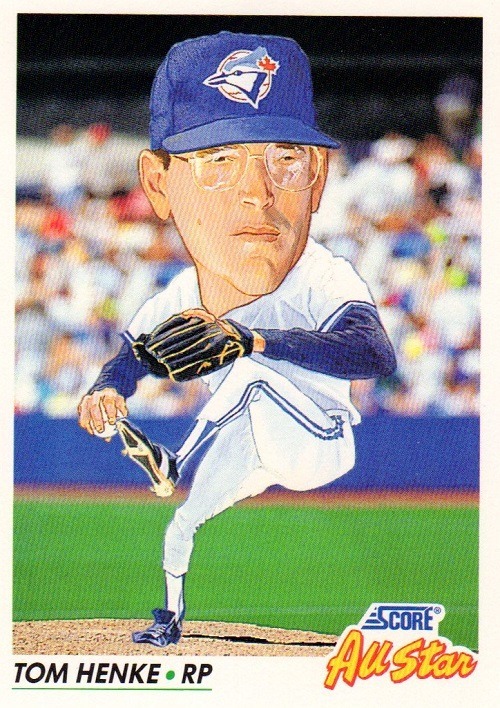 Another fantastic reliever, John Franco, from the 1987 Topps sticker set. 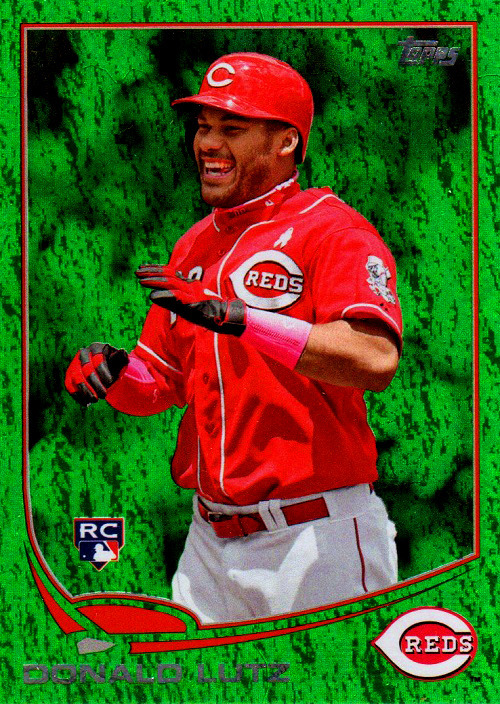 Hall of Famer Barry Larkin, from the 1987 Classic green border set. I already had the yellow border card from the travel edition, but the green border features a different photo and everything. 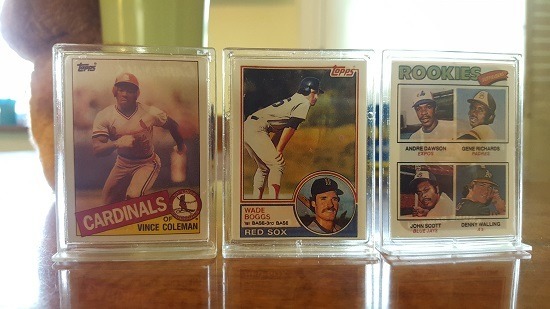 Now we’re starting to get vintagey with a trio of ’70s cards. 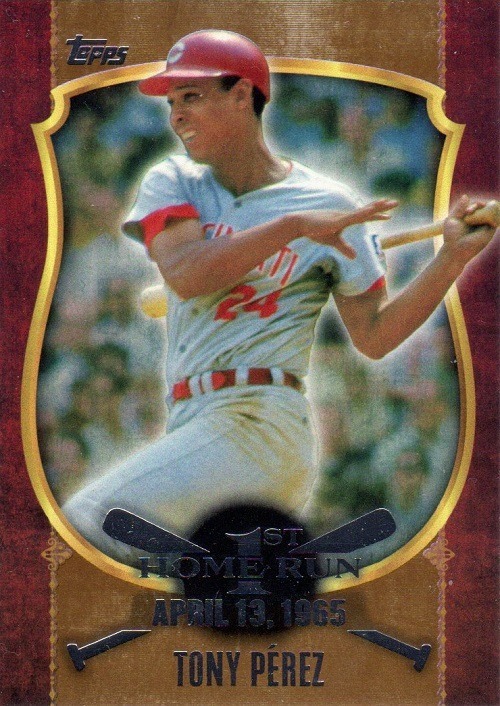 Tony Perez, 1976. Gary Nolan, 1972. 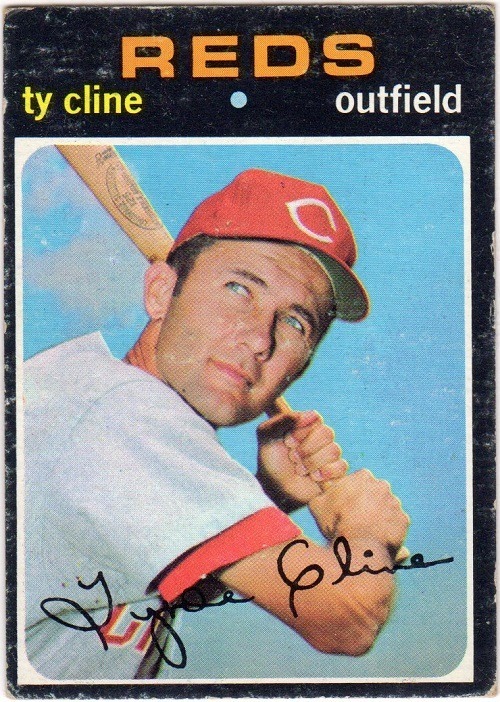 Ty Cline, 1971. Even more vintage. Leo Cardenas, 1968. This card is going to look fantastic with Leo’s scribbles on it. The only question is whether I wait until December at Redsfest or try to catch him at the Reds Hall of Fame this summer. A pleasant surprise slid in between two other cards in one of the hard cases. 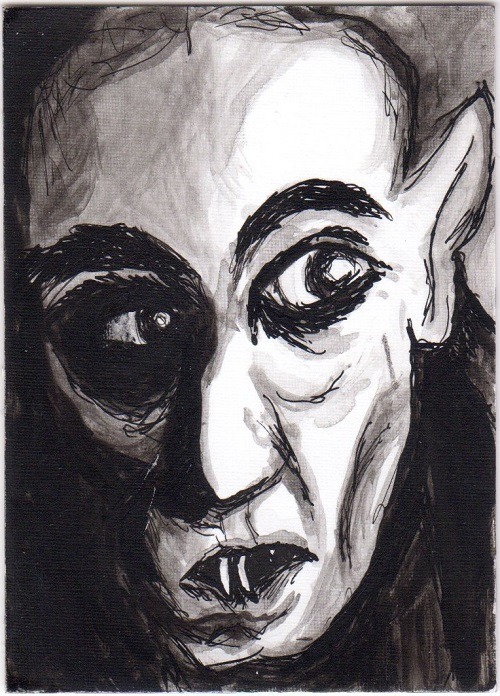 I absolutely love this sketch card! Fan vote for the Reds Hall of Fame ends tomorrow! Do I really need to tell you how awesome The Kid was? No, he didn’t produce as much as he did in Seattle, but man he was still great! 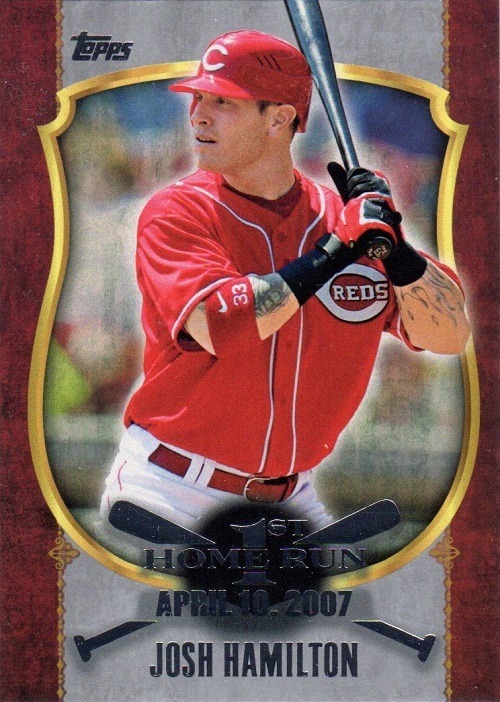 210 homers for the Reds, three times an All-Star and the team MVP in 2005. 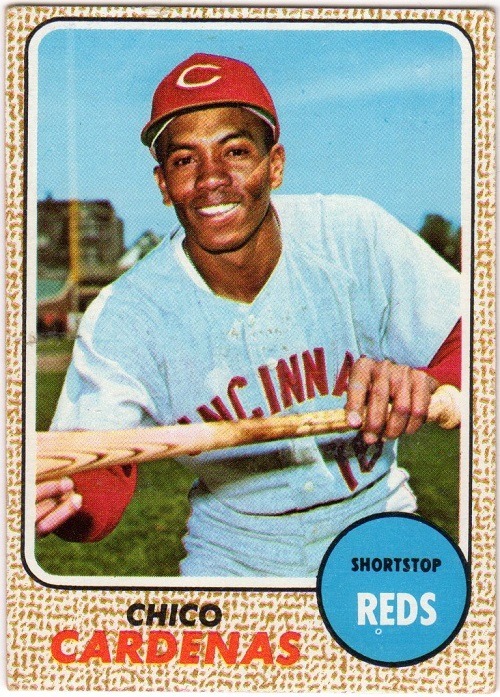 He hit home run #500 and #600 while playing with the Reds. I have come around on Graves a bit, and I hear he’s a really nice guy. And he’s on Twitter. 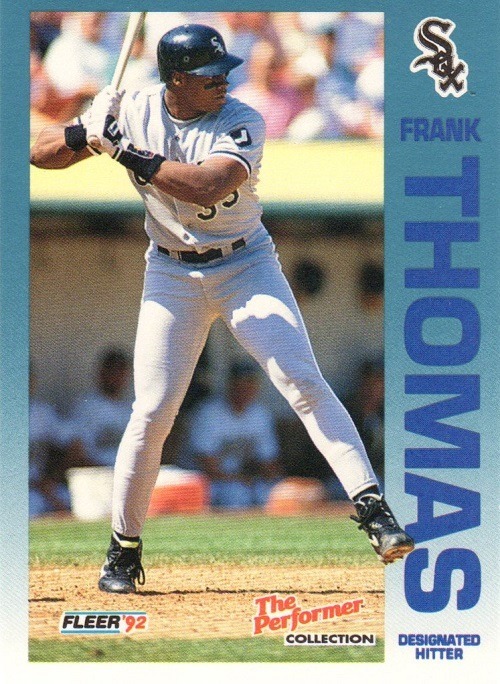 He falls in behind Griffey and Franco for me, though. The all-time Reds saves leader, but in my mind not as valuable as Franco. Sanders was a really good player, and if we were voting on their overall career (not just with the Reds) then he would be higher on my list. 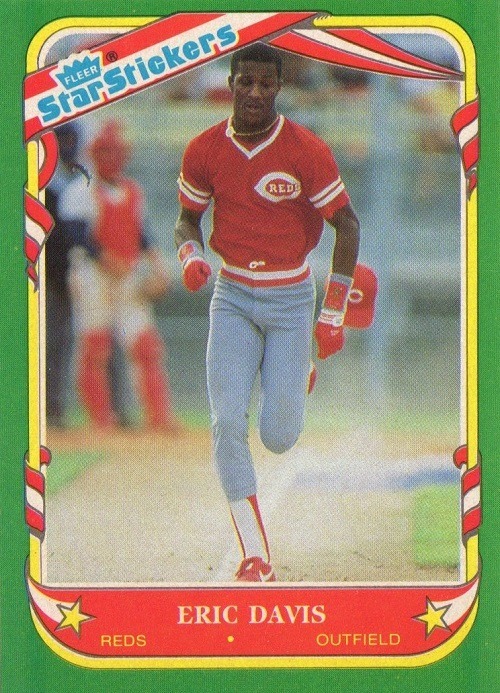 A 300 homer/300 stolen base guy, but didn’t really hit his stride until he left Cincinnati. 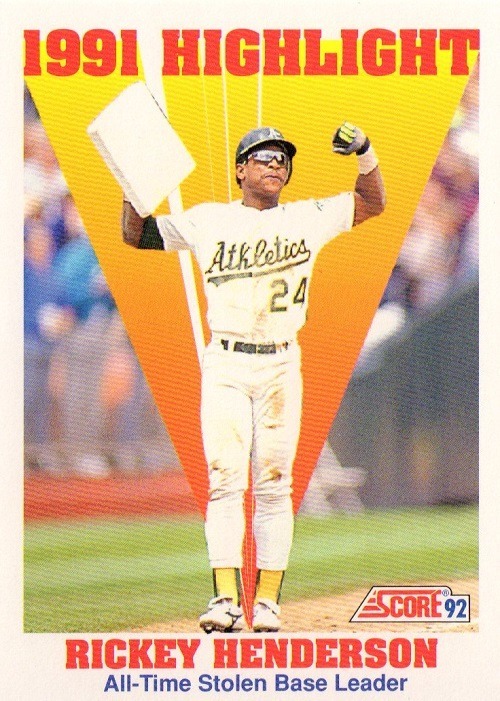 He was chosen for Topps’ All-Star Rookie team in 1992. Last and by far least, the current Reds broadcaster Brantley. Sorry, I just don’t understand why he is on the ballot. At all. That is, from left to right, Craig Biggio, Tony Gwynn, John Franco (the only Red in the set), Bo Jackson, and Junior. I also had Dennis Eckersley and Mark McGwire at one point, but they weren’t worthy of inclusion on my Wall of Awesomeness. This was a neat little set, and I wouldn’t mind picking up a few more for my wall if I found them on the cheap at a card show. 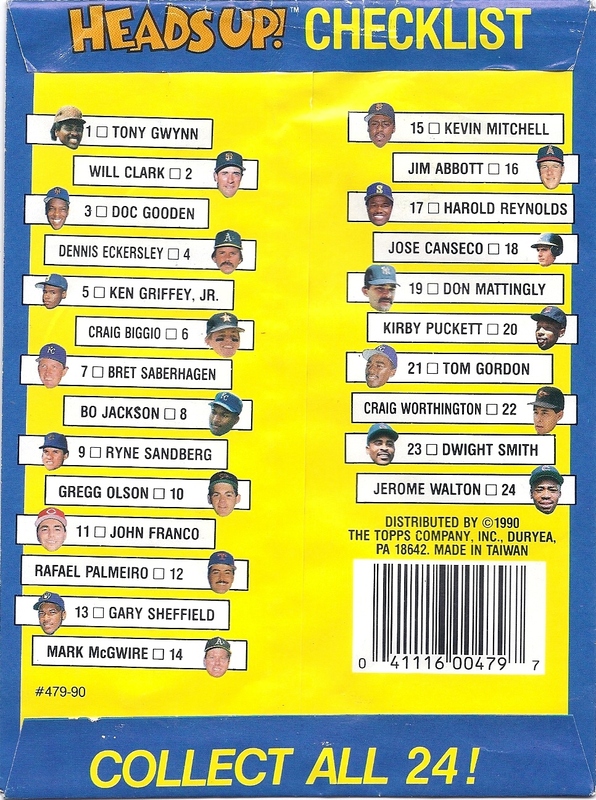 Looking at the checklist the Junkie posted, I probably also wanted Gregg Olson and Jerome Walton back in the day. But alas, I never got them. All this month, Reds fans can cast their ballots on who should be included in the team’s Hall of Fame Class of 2014. Five names are on the ballot, and each fan can vote once daily through the end of August. The players on the ballot are (alphabetically): Jeff Brantley, John Franco, Danny Graves, Ken Griffey Jr, and Reggie Sanders. So who should get your support? I asked Nachos Grande‘s Chris and TWJ contributor Patrick to weigh in on this year’s ballot. Jeff Brantley: It’d be nice for Brantley to be inducted since he’s still so active with the Reds. However, there’s no way he deserves the nod over Franco (88 saves vs. 148 saves) or Graves (182 saves). 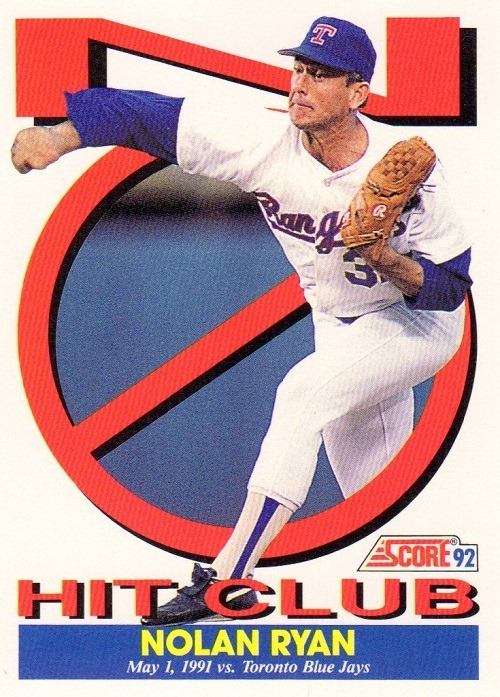 Easiest player to eliminate from the ballot. Jeff Franco: Franco excelled for the Reds during a time when the Reds were particularly putrid. He’s a bit before my time in terms of remembering him pitching so he’s harder for me to judge. Even so, I can’t put him in over Graves. Danny Graves: If you go by the numbers (which I did while eliminating Franco from contention), then Graves seems like an automatic shoo-in. However, he suffers from personal memory – most notably his meltdown against the Cardinals. Graves may have racked up a boat load of saves but he was no more automatic than David Weathers (aka Stormy). Graves was decent, but not Hall worthy. Reggie Sanders: Sanders was a solid player for a decent length of time. Unfortunately, it never rose above the “solid” level for any stretch of time. If I had to guess, I’d say Sanders gets the least amount of votes but if I could have two votes (rather than the allowed one vote), I’d case one for Sanders and the other for Griffey. Ken Griffey Jr: Yep, Griffey gets my Hall vote. 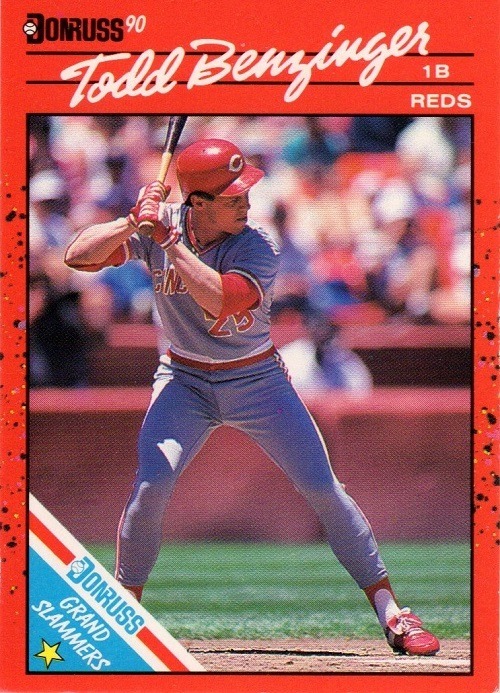 It’s easy to argue why he shouldn’t be in the Reds’ Hall of Fame, mostly because he was hurt all the time, didn’t live up to expectations, etc. While that’s true, it wasn’t his fault. Griffey, according to pretty much everyone, played the game of baseball clean while everyone else was juicing. 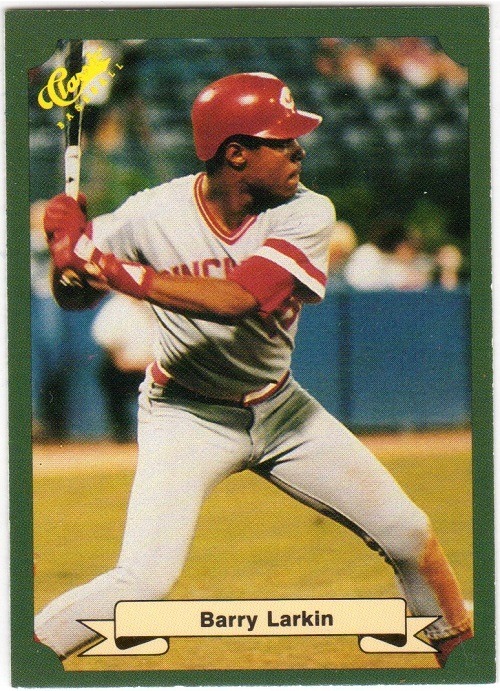 Despite the pharmaceutical disadvantages, Griffey still produced 600 home runs (210 as a Red). 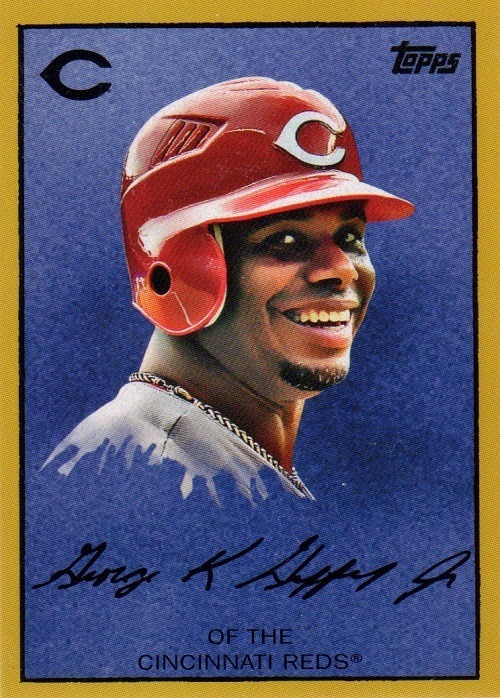 Griffey was also the first move for the Reds in a slow march back to contender status (even if he didn’t get to play as a Red long enough to see the Reds reach the playoffs). At first glance it would appear to be an easy choice. To quote my 13 year old,” Well Duh Dad, Ken Griffey Jr. of course” I laughed and realized I am getting old as he didn’t know who the others were. He was confused when I told him about Brantley, ” You mean the announcer was a pitcher? He doesn’t sound like a baseball player” He asked me my choice and I told him I had to look at the numbers. It was easy, in theory, to break it down to two choices. Select a pitcher, select an outfielder and put them head to head. I couldn’t be more wrong as they all seem worthy of selection. Taking into consideration Jr’s injury plagued years, I still couldn’t select Sanders. Besides, I am still pained by Reggie’s playoff performance in 1995 (.138). Not very objective but it is my vote. Now onto the relievers….holy cow, how to break them down. I will say that had the Reds kept Franco a couple of more years (2) he would be the overall hands down choice without question, at least from me. He would have over 200 saves and a world series ring. But alas things just are not that simple. Good thing Jeff Shaw didn’t have enough time to qualify as he would be in the mix. I think Shaw was the reason Brantley was edged out and Graves may have been one of a couple that prompted the Reds to trade their all star Selection (Shaw) before the all star game. Back to the task at hand. Looking at just their summary on the Reds site I think they are very evenly matched. Except for save total which can be attributed to how many years they were with Reds. That is a variable that needs to be considered. However, longevity can get you high numbers without being more than average. So further exploration was required for me to decide this bracket. Reds requirement is three years but I looked at their four best years since Brantley had four years and the others more. I didn’t crunch all of the numbers just the ones I thought I would need to cast my vote, very subjective but again it is my vote. This allowed me to eliminate Brantley. (I did look at just their 3 best years but it did not improve Brantley’s position) However, Franco and Graves are very evenly matched in my opinion. Do I extend it to 6 years? That is how many years Franco pitched. Fair? Perhaps not, as many players don’t get much time their first year. But Franco more or less hit the ground running so I think it is fair. Clear separation? Not exactly but I do see some light coming through. So what did Graves do in his other 3 years? First year 1997 he came over from Cleveland and appeared in 10 games. There was the disastrous lets turn him into a starter (2003) and the next year 41 saves. His last year (2005) saved 10 of 12 before going to the Mets to finish out 2005. Incidentally, Franco left the Mets after 2004 and went to Houston for 2005. So where does this leave me? I think I have to lean towards Graves. I have to consider all time team saves leader, the return to a solid closer after the starter debacle and, he did hit two home runs as a reliever, ok not very relevant but cool anyway. After all of that I will say that at first glance I thought Franco was going to be the clear choice. So now Graves or Griffey Jr.? They did play together for 5+ seasons. I am not sure I can really compare the two and decide who is more deserving. I will say the easy choice and most likely the popular choice is to follow my 13 year old and say well duh Griffey Jr. So I will cast my vote for Danny Graves. Seriously? 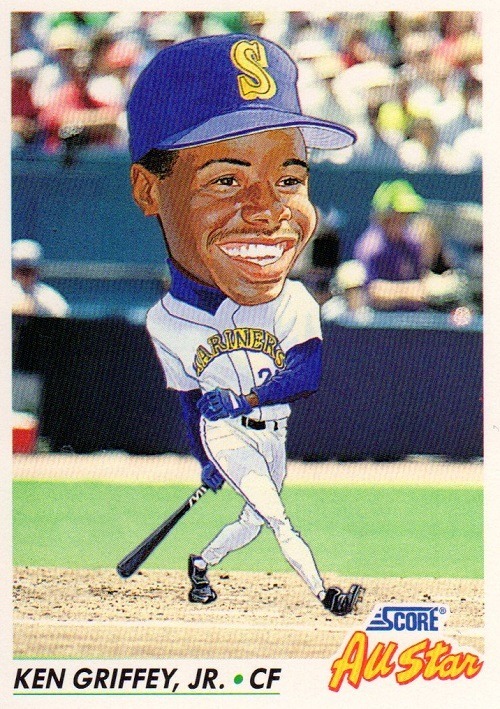 The clear winner here is Ken Griffey Jr, with John Franco a distant second. I really wish I could vote for Franco, but I simply can’t do it with Junior on the ballot. Graves and Brantley don’t even register on the radar and it is somewhat a mystery to me how they are mentioned on the same ballot. The voting procedure has changed from years past, when fans could vote for three players. Franco and Sanders got my vote two years ago when such was the case, along with Paul O’Neill. Sean Casey was the fan-voted inductee in 2012. Now it’s up to you. Who gets your vote? Vote here and let us know who you selected! …will be announced at 4 pm today. 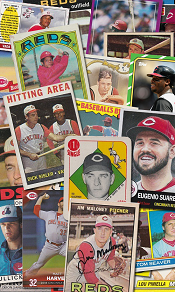 Check out the official site and @redsmuseum on Twitter. If it’s Jeff Brantley, I will be curled up in a fetal position somewhere. Don’t come looking for me. My choices were John Franco, Reggie Sanders, or Paul O’Neill. All of them are absent from the list of attendees at this year’s Redsfest (but of course that can be updated after the announcement). Of all the names on the ballot, Brantley is the only one scheduled to appear (since he is a current broadcaster, not because he will be the fans’ 2012 inductee). People, I really hope you did the right thing. You can help choose the next #Reds Hall of Fame inductee! The ballot of eight names has been released, and you can vote up to 25 times (per e-mail address) for your favorite three. Who will it be? Jeff Brantley – aka “Cowboy” to those who watch the Reds on Fox Sports Ohio. He’s a decent broadcaster, and was good on the mound, but to me he just doesn’t scream “Hall of Famer!”…even if it’s only a team HOF. Sean Casey – aka “The Mayor.” Probably the favorite to win the fan vote, a very popular guy and deserving of recognition…eventually. I didn’t vote for him this time, as I think there are others more deserving. 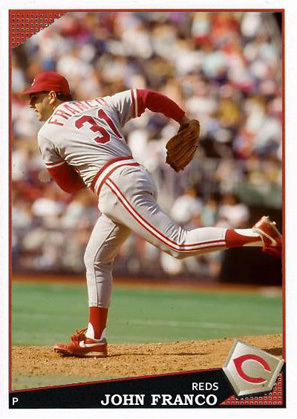 John Franco – aka “he doesn’t have a nickname, not even on baseball-reference.com.” I thought this guy was going to be a NBHOF back when he was with the Reds, but then he got traded to the Mets and I’m not sure what happened to him after that. He was definitley a premier closer his first five or six years in the league, and he’s got my vote for 2012. Danny Graves – aka “Wildman really doesn’t like this guy.” I’m not sure why, but I found it amusing how Wildman Walker (a radio personality for the rock station WEBN in Cincinnati) would rant and rave about Graves when I first moved back to the area a few years ago. I’m not even sure what he did to enrage the Wildman, but it was fun to hear him go on and on and on about it. Graves actually does have a nickname on b-r…”Baby-faced Assassin.” How cute. He didn’t get my vote. Hal Morris – no nickname. 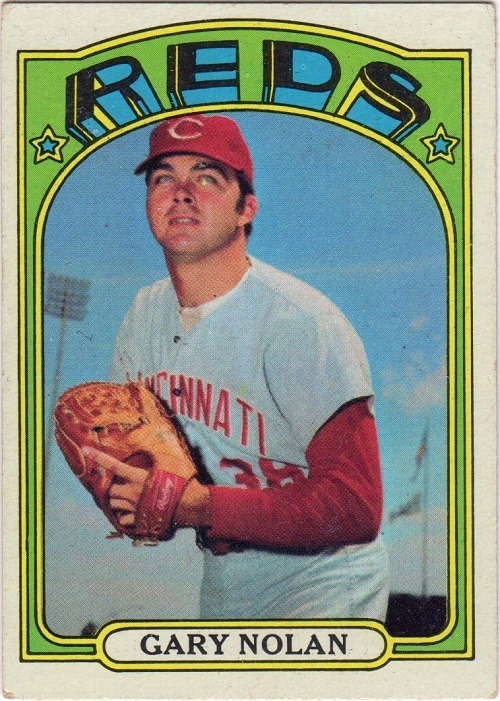 Morris came to the Reds in a trade with the Yankees for Tim Leary. 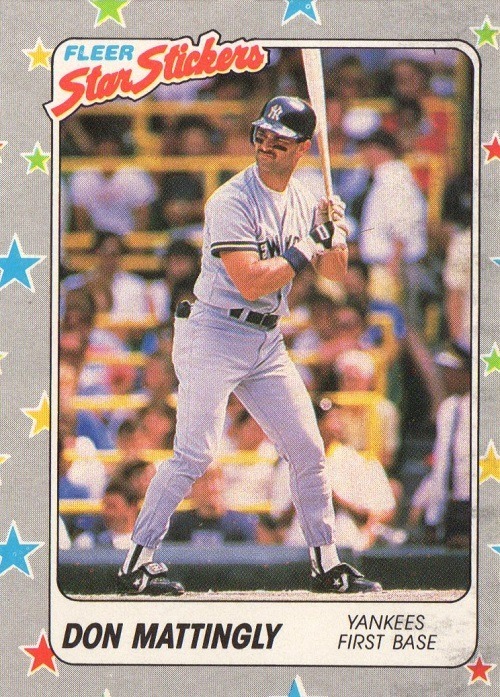 While with the Yankees, Morris wore five different uniform numbers. With the Reds, he was #23. 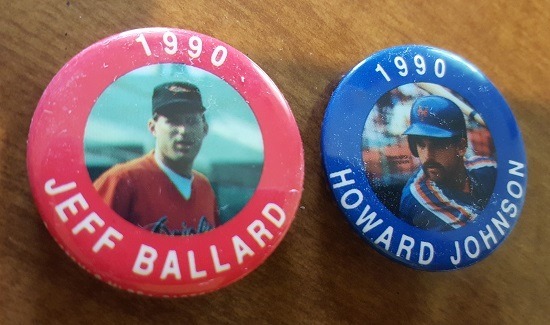 I was close to voting for Hal, as he was a really good hitter. But I didn’t. 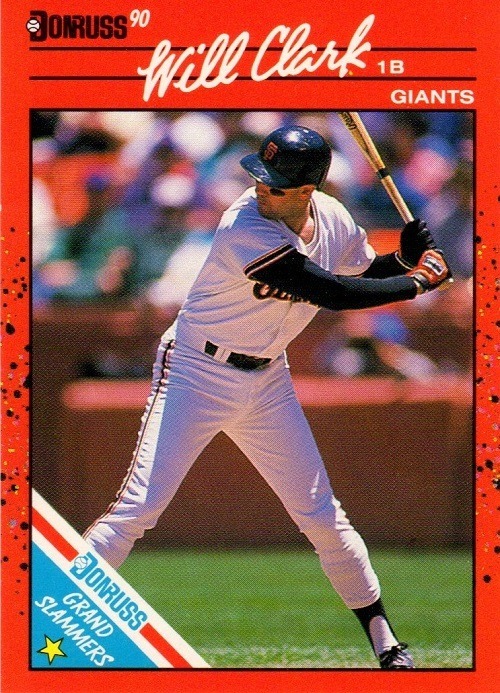 Paul O’Neill – aka “The Warrior.” Who gave him that nickname, and who has ever heard him called that? It’s no secret that I am not a fan of Paul O’Neill, even before he went to New York. However, he got my vote for the Reds Hall of Fame. 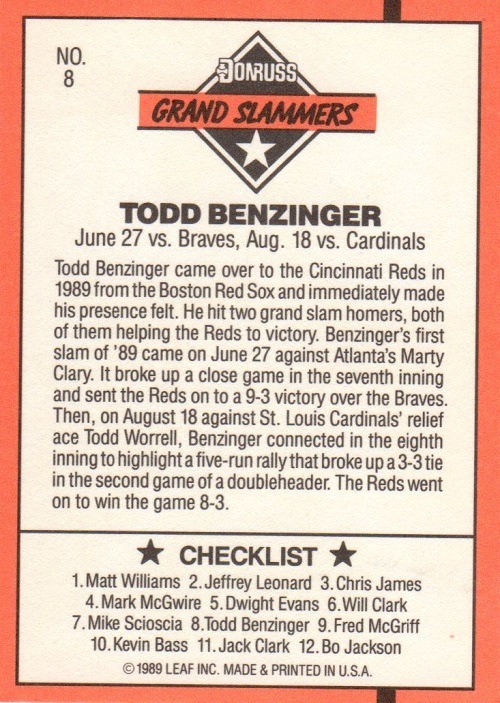 He was a big part of the 1990 World Champion team, especially in the NLCS against the Pirates. He kinda tanked in the actual Series. 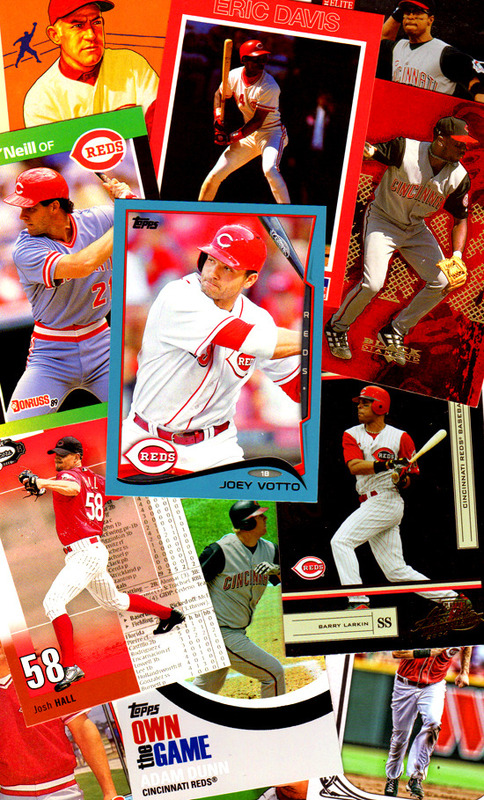 And really his stats may not merit induction…only 96 homers, .259 average for the Reds. 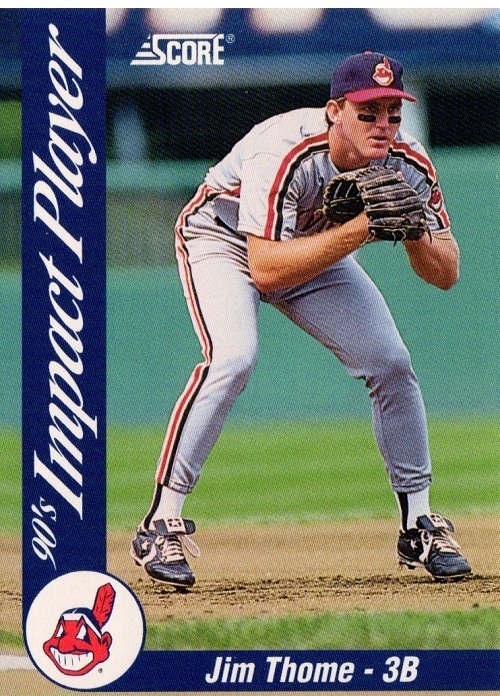 But he did have that awesome kick to first base…man, I wish I could find that video on YouTube. Reggie Sanders – aka “The Next Eric Davis.” That was the hype when he came up, that Reggie would be what Eric Davis was supposed to be. He may not have been that great, but he was pretty good. He is one of only seven guys in history to hit 300 home runs and steal 300 bases. Of course not all of that was with the Reds, but that’s where he got his start, and that’s why he got my vote. Scott Sullivan – um…I’m stumped on this one, honestly. The ballot blurb says “Ranks second on Reds all-time list for most games pitched; first pitcher to lead Major Leagues in relief innings pitched in four straight seasons, 1998-2001; named Reds Outstanding Pitcher in 2001.” No way is this guy getting more than 25 votes…unless his mom has two e-mail addresses. Where is Rob Dibble? Norm Charlton? Nothing personal against Sullivan, but he doesn’t hold a candle to either of those Nasty Boys. If you want to vote, head on over to this site and punch your ballot. Remember you can choose three names and you can vote 25 times per e-mail address. If you don’t know who to vote for, let me encourage you to pick John Franco, Reggie Sanders, and Paul O’Neill (in that order). Man, I love blind trades. I came across a Cubs fan on the Baseball Fever forums, and we agreed to swap boxes. I sent him almost 400 Cubs cards; he dumped the box, reloaded it with Reds, and sent it back my way. You don’t know what you’re going to get, but you know it’s going to be good because who doesn’t love a box full of your favorite team? Sometimes, though, the box is much better than you could have ever imagined. 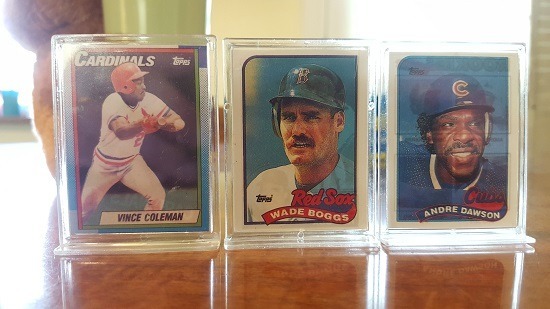 I opened the box to find not one, but two cards from the 1959 Topps set, six from the 1960s, and several 1970s and early 1980s. What a haul! 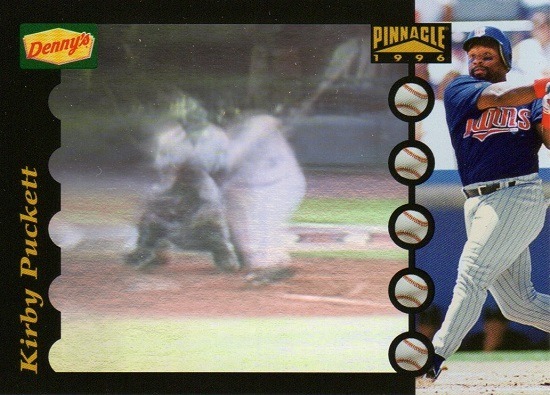 This card is especially cool because I don’t have many cards featuring Vada Pinson, a guy who had a borderline case for the Hall of Fame. He was on track early, and then just tapered off, never quite reaching the career numbers expected of him. It was awful nice of someone to scribble the number on the back since it was so faded. There was also a fair amount of the “junk wax” era, but amazingly some needs were met, such as this 1988 Topps John Franco, the last one I needed for the team set! 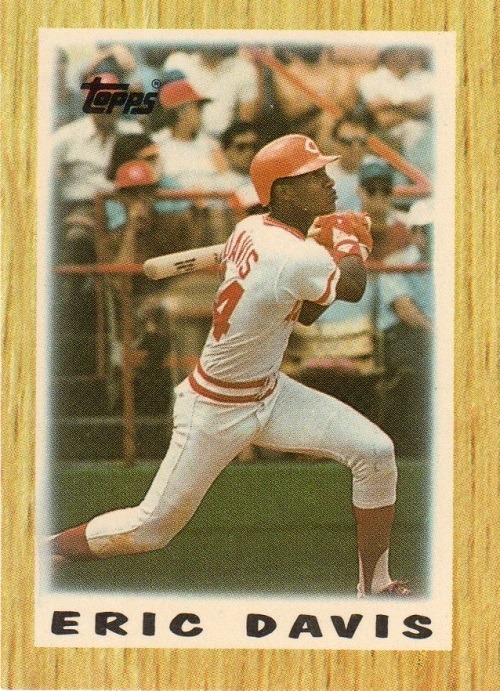 And this ’91 Score “Cooperstown Card” of Barry Larkin. I don’t think I’ve ever seen this card before. Weren’t they factory-set bonuses or something like that? This was a great trade! In fact, I have yet to regret a blind trade. I get the chance to send off cards that I don’t want for cards that I can actually use…either for my collection, for TTM requests, or to bribe the kids with. Should John Franco receive serious consideration for the National Baseball Hall of Fame? He has more career saves than Hall of Famers Eckersley, Fingers, and the Goose. He is fourth behind Trevor Hoffman, Mariano Rivera, and should-be Hall of Famer Lee Smith. 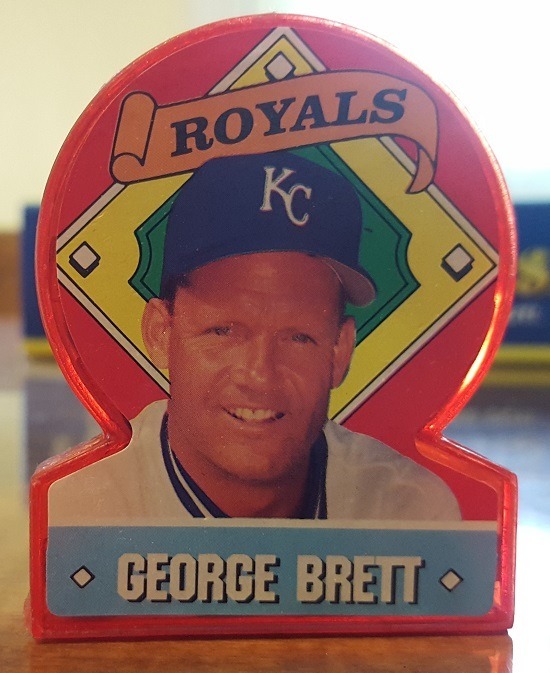 I had him in my Hall of Famer box back in the 1990s, but now I’m torn (mainly because I hate the idea of relief pitchers in the Hall unless they were really dominant). What do you think? I’ve been a very bad boy. I broke one of my own rules in the Countdown to ’52 Challenge. But that’s what happens when you get desperate. 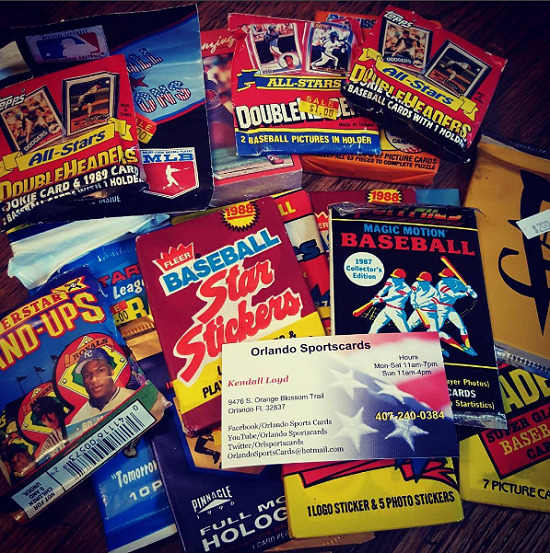 You see, I was offering a 1985 Topps John Franco for a 1984 Topps card. 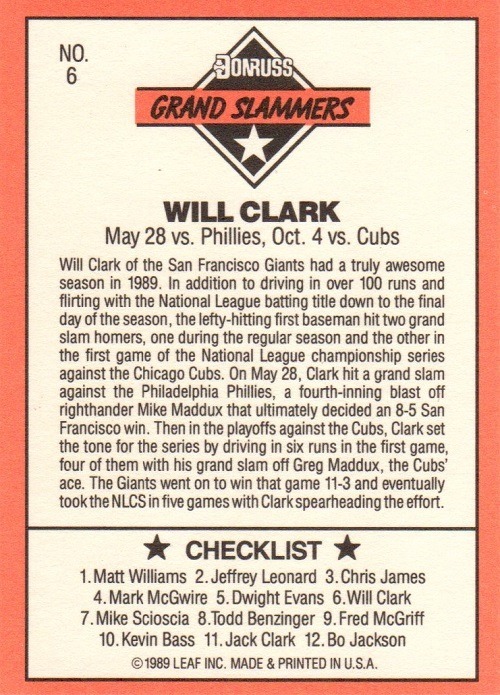 Any 1984 Topps card. I dropped a few hints here and there, and made a blog post here about it. But the offers never came. I guess 1984 is a year we all hold close to our heart. It was a great design. Then, out of nowhere, came a trade offer. 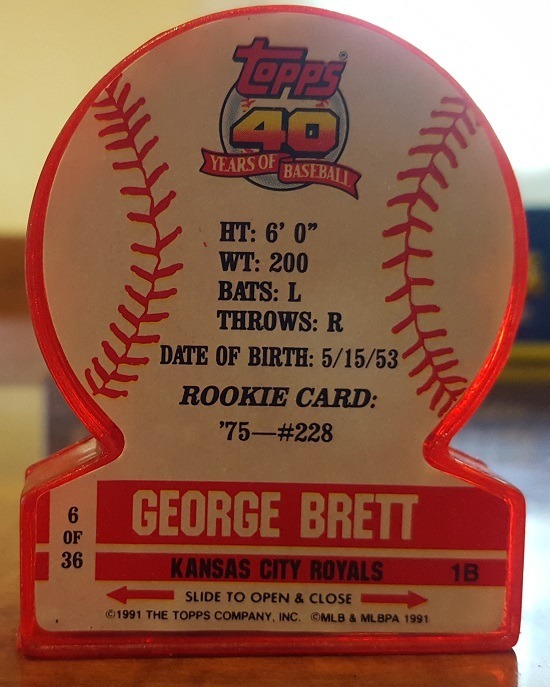 But it wasn’t a 1984 card being offered. It was a 1976. I had the opportunity to bypass 8 years in the Challenge. I hemmed and hawed, and almost got an ulcer trying to make a decision. And finally, I couldn’t resist. Now up for trade is a 1976 Cliff Johnson of the Houston Astros. And I will also abandon the “only one year prior” rule. If you wish to offer a 1975 card, I will accept. If you wish to offer a 1974 card, I will accept. If you wish to offer a 1952 card, I will accept. So there it is…make me an offer I can’t refuse! P.S. – I didn’t recognize the username of the person who made this trade, so if you’re a blog reader and want a link over there in the sidebar, let me know!